Fixed and lifting keel versions. 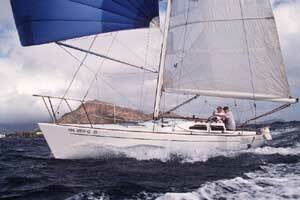 A rare 'hopped up' version with deeper keel and taller rig is called the SONIC 30. The SYNERGY 1000 is also said to have it's origins with the SONOMA 30.